Launching the original Following a few years ago, people thought we were crazy. The idea of releasing a 120mm 29" trail bike when the world was obsessed with longer travel 27.5" enduro bikes was crazy for us too, but we knew from the first time we rode that platform, we were on to something fun. And the more fun we had, we realized we could make the Following better, even more better'er. The original Following was designed as a short travel playful trail bike, but to our surprise you all thought it was a mini DH bike, so we decided to add a trunnion mounted metric piggy-back shock, boost spacing and a few other things to handle higher speeds and bike park style riding. Moving to 148 x 12 spacing and a 1x drivetrain allowed us to follow what we have done with the Calling, Wreckoning, and Insurgent, adding stiffness in key areas while maintaining the compliance necessary to make this thing track in the roughest corners. The trunnion mount allows the shock to run on two of our linkage bearings, which not only makes the initial stroke smoother but allows the suspension to be more active throughout the travel. 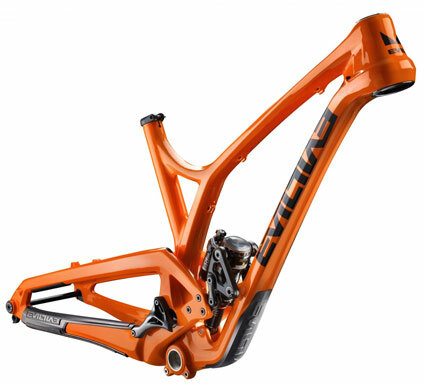 Geometry stayed very similar with the exception of an additional 20mm in reach, which opens up the cockpit a bit and provides a longer more stable wheelbase while maintaining our signature berm slashing 430mm chainstays. The leverage rate curve has been slightly updated to handle those days when landings are an oversight. We have also added support for various piggy-back, coil and inline shocks so you can build a lightweight XC/Trail slayer or a Pacific Northwest shredder. *Check the website for compatibility. Many of you also asked for these odd size tires that were reminiscent of Nokian Gazzalodis from the late 90's. At first, we tried to reserve judgement, but we chalked this up to yet another industry ploy to sell more bikes, but after some serious time on these tires/wheels we can say they definitely have a place. We don't see plus replacing conventional tire sizes anytime soon, but they are a lot of fun in the right conditions. So, for those of you who want rock crawling climbing traction coupled with the ability to reshape gravel into a berm then go ahead and wedge a set of balloons in this bad boy! You will not be disappointed. Four bikes, one frame... The Following MB can really span categories, with adjustable geometry designed around 120-140mm forks and piggy-back shocks. You can build a lightweight 120mm x 120mm trail bike with an inline shock or opt for a light duty enduro rig with a 140mm fork and a piggy-back shock. As if this wasn't enough options, you can throw some plus balloons on there and get a fast bike that rides on rails and can virtually pull itself up anything.